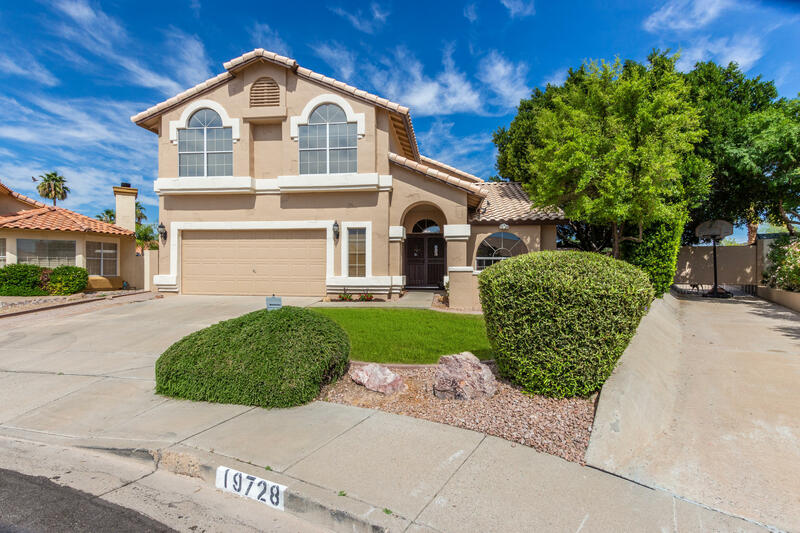 THIS AWESOME 4 BEDROOM 2.5 BATH HOME ON AN OVERSIZED CUL DE SAC LOT CHECKS ALL THE BOXES. BEAUTIFUL GRANITE SLAB COUNTER TOPS, TRUE HAND SCRAPED HARD WOOD FLOORS, FIREPLACE, AND FORMAL DINING AND LIVING SPACES. OUTDOORS A LARGE COVERED PATIO AWAITS YOU, WITH PLENTY OF GRASS AND MATURE TREES. THE PERGOLA, FIRE PIT AND BEAUTIFUL MOUNTAIN VIEWS ONLY ADD TO YOUR OWN PERSONAL OASIS. THE FREE STANDING WORKSHOP OUT BACK HAS PLENTY OF ROOM FOR STORAGE. THE GARAGE HAS EPOXY FLOORS AND BUILT IN CABINETS. THERE IS NO HOA, SO BRING YOUR TOYS THROUGH THE RV GATE!! CLOSE TO SHOPS FREEWAYS AND RESTAURANTS.